The Mouse family are constructing and creating again. 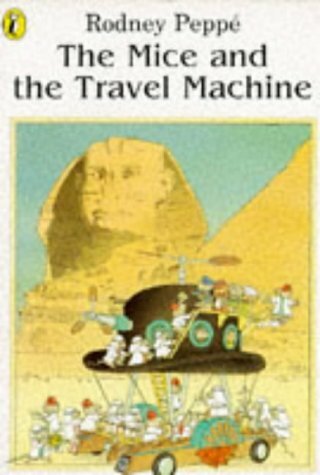 This time a bowler hat provides the basis for a wonderful travel machine which takes the whole family off on a trip round the world. Unfortunately, D Rat has spotted the money-making potential of such a contraption and is out to get it, by fair means or foul. The moral of the story is never sign a contract without reading the small print and whilst teaching this admirable precept it also introduces us to the major landmarks of the world and half the KS2 Geography curriculum. Very jolly pictures are, as always from Rodney Peppé, an added attraction.